To save us all that were forlore. The angels sung with all their might. And so our sorrow is turned to game. The angels sang with all their might. As clerkes sing in their sequence. And with good heart~ now sing we. 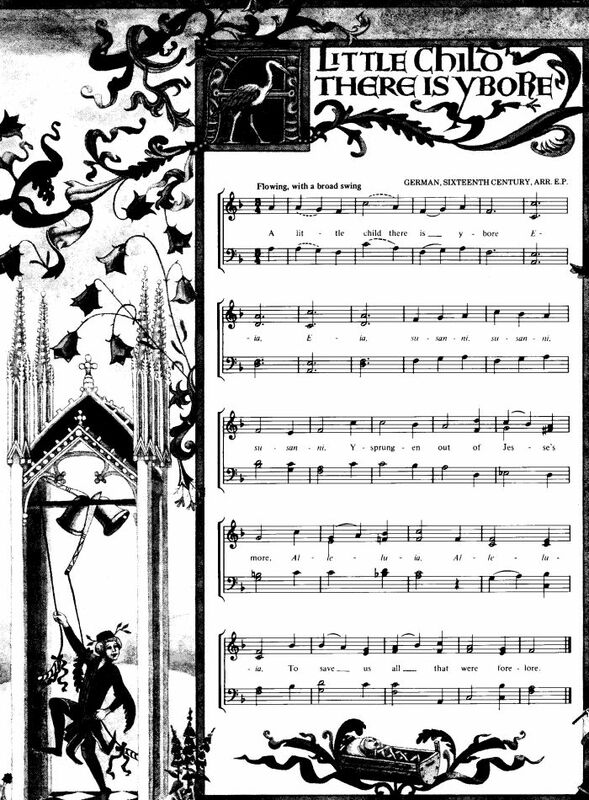 The editors of The Oxford Book of Carols also note that this carol was also printed in Early Bodleian Music, 1901. They state that their version was collated with Richard Hill's MS. It also appears in Chambers and Sidgwick, Early English Lyrics (Gloria Tibi Domine), and in Richard Leighton Greene, The Early English Carols (Oxford: The Clarendon Press, 1935, #35A, p. 24, in five verses, omitting verse four, above). See: Percy Dearmer, R. Vaughan Williams, Martin Shaw, eds., The Oxford Book of Carols. Oxford: Oxford University Press, 1928, #118, pp. 248-9. They also omit the fourth verse, above.